The hunt is back on! 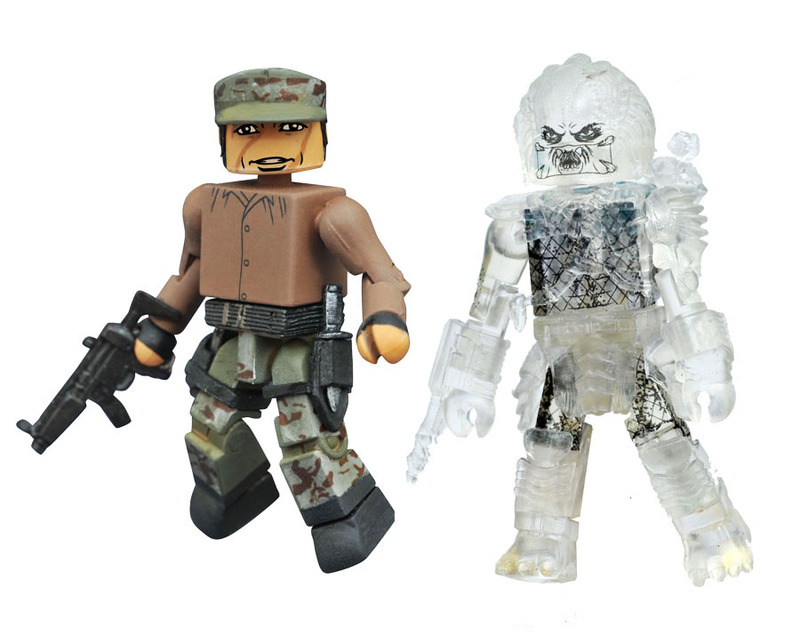 The epic fourth series of Predator Minimates is based on films from across the popular movie franchise! 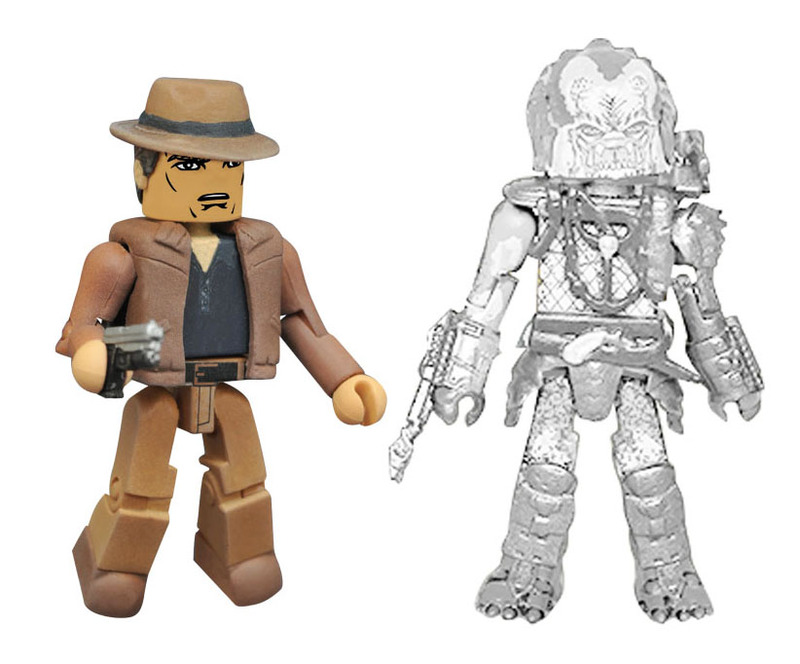 This assortment includes four exclusive two-packs: Predator Hound with Isabelle (from Predators), Cloaked Elder Predator with Detective Lambert (from Predator 2), Poncho with Cloaked Unmasked Predator (from Predator) and a rare, one-per-case variant 2-pack with Anna and the Cloaked Unmasked Predator! Each two-pack contains at least one figure that is available nowhere else!